Life is simple when we appreciate life's simplicity. Check out what our farm has to offer. Click here for details on our 2019-2020 grant project. 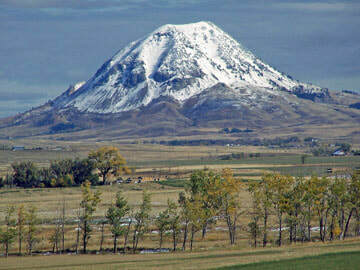 Where you'll find us: nestled in the foothills of the Northern Black Hills, with a direct view of Bear Butte. Turn right onto Crackerjack Road and go 0.6 miles. Our mailbox will be on the left side of the road, and you'll see our sign on the right.